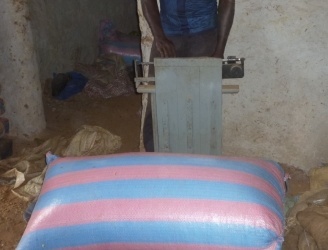 M. Ouedrago takes his beans to be weighed. Cocoa beans are sold by the MT. Right now, the price is about $3100 per metric ton.